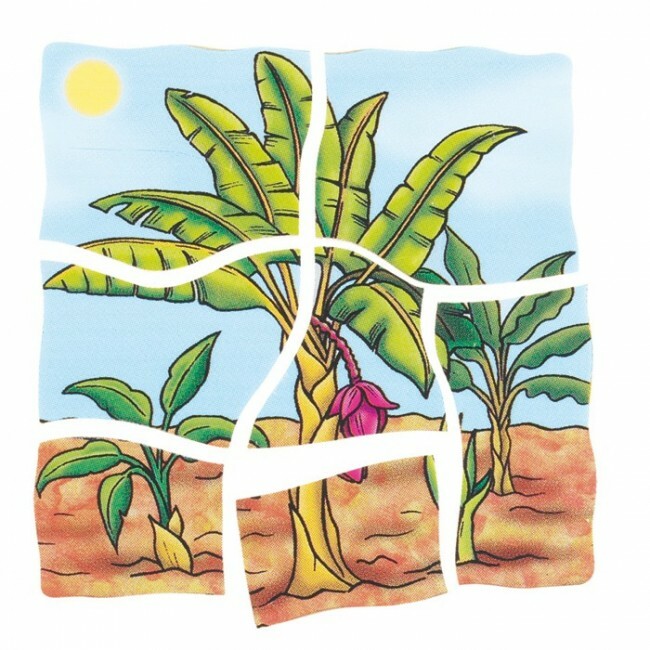 Children will have fun learning through playing with this banana layer puzzle, they can know how banana develops and how it grow by solving this puzzle. 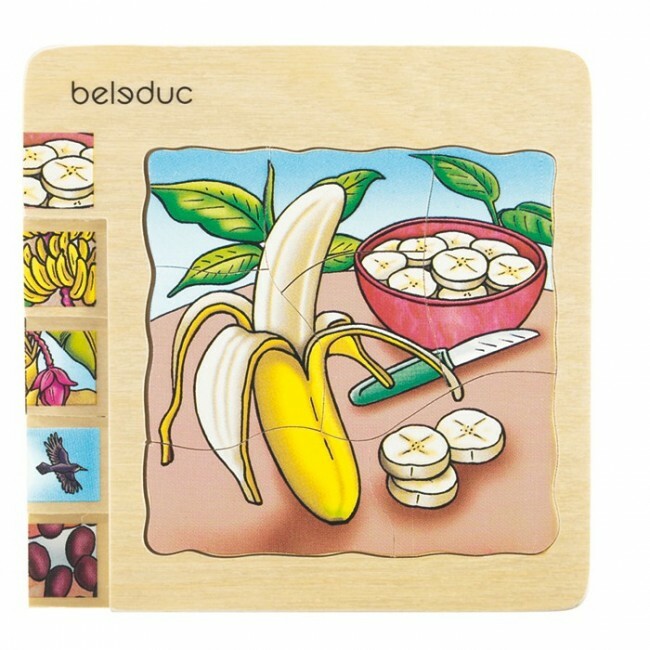 Banana Layer Puzzle made from solid wood construction with child safely paint finishing. 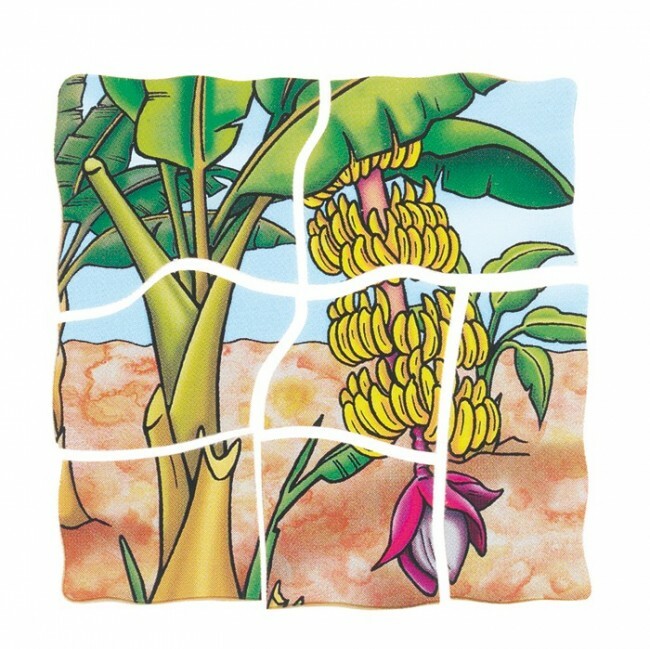 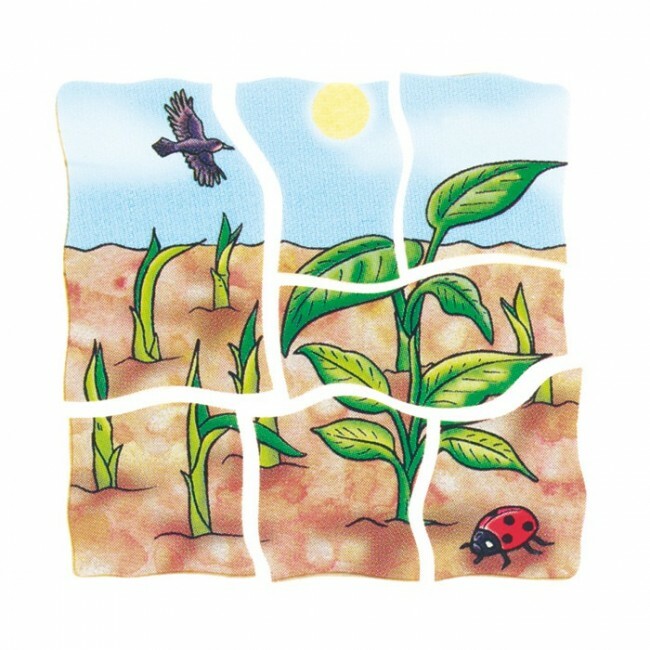 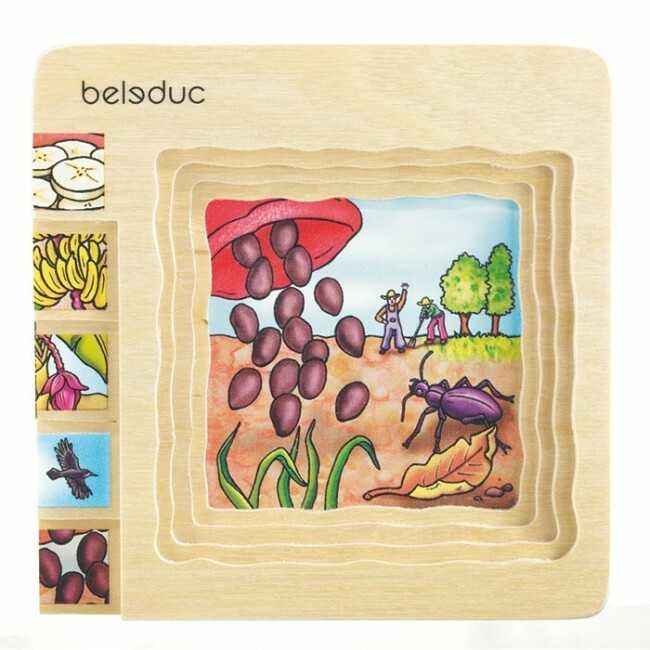 This puzzle set is a great way for learning and showing how banana develops and produces. 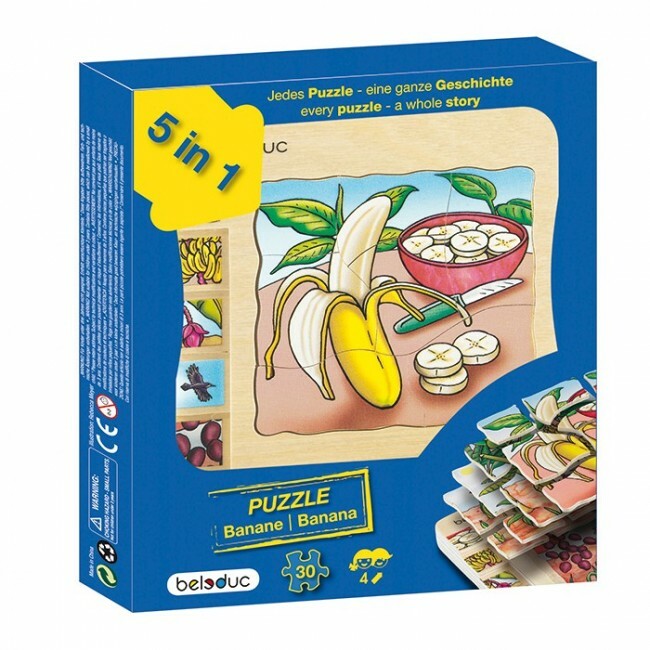 - includes 5 layer puzzles, consists of 30 pieces. - encourages children knowledge about development and production of banana.